Random House Books for Young Readers, 9780375814709, 593pp. TAMORA PIERCE has completed four series of books set in the fantasy realm of Tortall. Pierce's fast-paced, suspenseful writing and strong, believable heroines have won her much praise: "Emperor Mage" was a 1996 ALA Best Book for Young Adults. 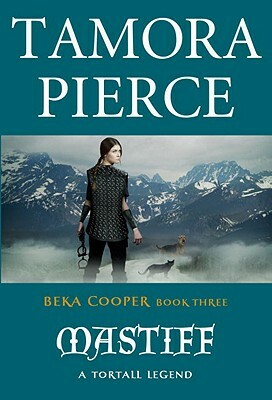 "Pierce has long been lauded for her kickass heroines, and in Beka she has created her most compelling, complicated character...[T]his novel provides both crackerjack storytelling and an endearingly complex protagonist." "This concluding title in the Beka Cooper series is the best yet, a tasty blend of detective work, romance, magic, and treachery."